Working from home today, I was originally intending to do some carp fishing later this afternoon. However, with winds of 40 plus miles per hour forecast I changed my plans. Not that the weather bothers me but when you’re fishing near trees you need to be careful. I was on a lake once when, following a stormy time a few days before, I heard an almighty crash from the car park area. Fortunately, I am aware of these things and I always park my car well away from trees if possible. It was a good job on this occasion because a mature tree had lost a huge branch that landed where cars would have been parked. At the very least it would have been a written-off vehicle. Stay wise and stay safe. It’s not just during the times of storm but any time that trees can become a problem. Back to this morning’s outing, I was up before first light. Following a cup of tea I was on my way to the Staffs/Worcs Canal with tackle, a pint of red maggots and a tub of worms. Fishing a spot where I’ve caught specimen perch before, I set up and with the rod already made up, cast out. The spot is next to a lock, which is always a good place to fish. As with any type of angling, look for features. Some of them are beneath the surface and harder to locate, others are there in front of us, staring us in the face. Watercraft is an important aspect of fishing and one that isn’t always taken on board by anglers. Turning up and casting out blind is like throwing a dice and hoping you get a six. Don’t let your angling be determined by luck, it can be hard enough at times so make sure the odds are always in your favour. 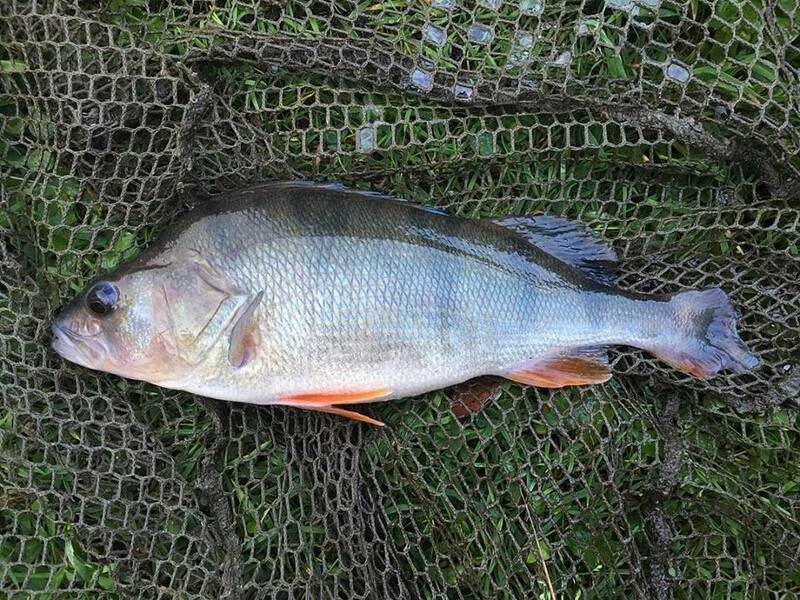 The session produced a number of perch, that’s the biggest in the lead photograph. I had lots of plucks from smaller fish and even managed a gudgeon. Tackle used: John Wilson Masterline Debut quiver tip rod. Shimano 2500 DL2500FA reel. Maxima Chameleon 4lb mainline. Drennan Super Specialist size 8 micro barbed hook. Hooklength created by Korda skok bed and a size 4 Dinsmores split shot. Follow blog updates via the link at the base of the page.